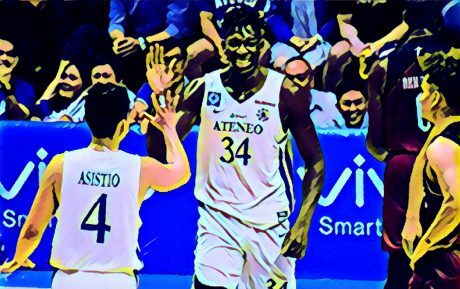 You gotta pity the University of the Philippines’ men’s basketball team that went up against the Ateneo de Manila in this year’s UAAP championship match. They may have been under pressure to win the game to fulfil the dream of the Yellowtard-led Philippine Opposition to “oust the dictator”. The “dictator” in this political fantasy is, of course, current Philippine President Rodrigo Duterte, and the reference is to the idea (which went viral within Yellowtard circles) that the last time the UP won a basketball championship, then “dictator” and former President Ferdinand Marcos was deposed. Of course, Marcos was no longer president in October of 1986 when the UP team won the UAAP title. But this fact did not stop Yellowtard Netizens from using it as a narrative to be in some sort of “solidarity” with the Ateneo over what they spun as a political stand to unite both schools to lend a higher purpose to this momentous event. Most true basketball fans did not buy all this. For true-blue (and maroon) fans, basketball rivalry is pedestrian, brutal, and politically-incorrect, and not the chi-chi love-in the snowflake millennials who infested and attempted to gentrify the fan discourse tried to shape it into. Indeed, even an attempt to “urge” fans to “wear black” backfired so badly that its propagators went down the lame path of quibbling on semantics (the difference between “urging” and “commanding” people to wear black) in a desperate effort at damage control. Yellowtards should accept that their lot does not represent the broader Filipino public. This inability to appreciate this reality is what lost them an entire nation in 2016. It seems they have still not learnt that important lesson as they continue to attempt to hijack treasured popular artefacts of Philippine society and conscript these to their obsolete cause. An important part of winning political power in a democracy is to ensure that you reach and engage as many members of the public as possible. The Opposition are failing at that in the way they use high-nosed rhetoric that they craft from their ivory towers in gated communities and university halls. Even the image and messaging surrounding that supposedly quintessential laking Tondo candidate Florin “Pilo” Hilbay is being severely mismanaged. Rather than come across as one of the people Hilbay is now perceived as just another snooty Yellowtard who couldn’t be bothered to meet head-on those who challenge his views or even just want to engage them in an intelligent conversation. This latest episode involving a basketball match is another example of a failed initiative to hijack public discourse that was conceived in the now-renowned chi-chi echo chambers of Yellowtardom. It is high time the broader Philippine Opposition recognise just how a big a liability the Yellowtards have become. They should cut their losses and ditch the Yellowtards lest they run the risk of losing yet another important election. Make your own ESPN. Politics does bring everyone together, right? It is good that the YellowTards lost. Sports should not be mixed with politics. Hoping that “luck” will strike twice on the YellowTards. The situation in EDSA1986, when the late Pres. Marcos Sr. was deposed, with the situation, we have now, is very much different. There were two U.S. bases in the Philippines: the U.S. Air Force, Clark Air Base and the U.S. Naval Base in Cavite. The U.S./C.I.A. , supported, the “saint”, Cory Aquino, as their U.S. puppet, to help them , extend the U.S. bases agreement. Enrile and Fidel Ramos, the two political turncoats, were there to help them support Cory Aquino. There was no Social Media; Bloggers; internet; etc…then. The mainstream media was used as the Aquino political propaganda machine. So, YellowTards…kindly use the remaining part of your brains. Most of your brains are eaten by YellowTard propaganda !